It appears that Google is finally taking a tough decision on the inclusion of Hangouts as a preloaded app for future Android smartphones. Starting December 1 2016, Google’s Android OEMs will not need bundle the Hangouts app as a mandatory pre-installed app on Android, a report citing a Google email to partners claims. 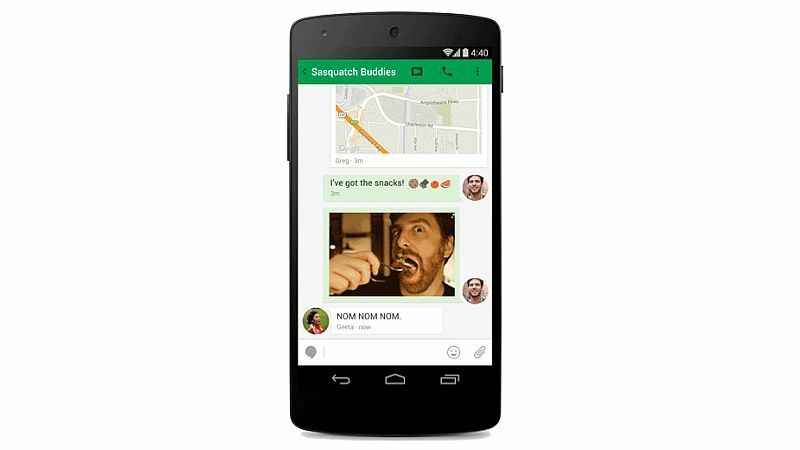 Notably, Google’s recently unveiled Duo app is taking Hangouts’ place on Android smartphones. It’s worth mentioning that Google’s latest move doesn’t mean that Hangouts is dead as of now. The Hangouts app will be available as an optional app and can be downloaded via Google Play. The company has previously revealed that Hangouts will be transitioned as an app for enterprises. The move to replace Hangouts app from mandatory to optional doesn’t come as a surprise as Google’s Hangouts app was unable to keep up with other popular messaging apps including Facebook’s WhatsApp and Messenger services, as well as WeChat and Hike. Google’s choice of replacing Hangouts with Duo instead of Allo however comes as a slight surprise. Google’s video calling app, Duo, recently hit 10 million downloads on Google Play – and had 10 million users as well. The new video calling app just four days after its global rollout on Google Play made it to the top of the charts as top free app. The Duo app is available in all countries where Google Play is available. The company’s brand new video calling app was launched to take on Apple’s FaceTime, Microsoft’s Skype, Viber, and others similar services. The Duo app lets people call their phone contacts (as long as they have the app installed) and one of the biggest highlight features is it can work even on low networks.